A new product comes into our hands. It’s a new develop. We talked about the new VM Customs items that will make the delights of British players. These are the two most desired by the “doers” of L119A1 and what is best, fully customizable components. 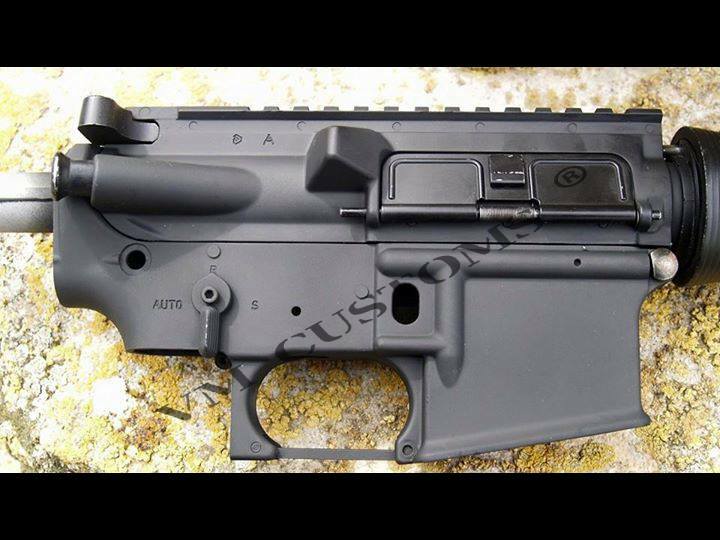 We have had occasion to see and taste the barrel extension 10″ to convert our M4 on a L119A1 and what is even more greatful, the markings of the body are fully customizable, you can add the serial number of your replica and recreates perfectly to the original. The barrel extension will, at first sight, the piece that call more our attention related to M4A1. Originally introduced to provide greater precision and fire support to the model of COLT. Unlike the M4, the L119A1 measures 15.8″ and barrel extension has the thicker central portion that is what stands out from its predecessor. Tactical Warlord and Begadi distributes to everyone but they forget an important thing for those who want to recreate this weapon is essential: the markings leading into the barrel. Just say that simply touching the material and you will notice the difference from their brothers Begadi and Warlord. Both Begadi as VM manufactured in aluminum but we don’t know what has introduced VM that looks really real. The roughness of the metal and especially the touch show that manufactures Custom VM being faithful to reality. Specifically, we speak of an aluminum construction that fits neatly into a thread of 14 mm and the rear end of a threaded muzzle negative also 14 mm. This barrel length is 13.5 cm. 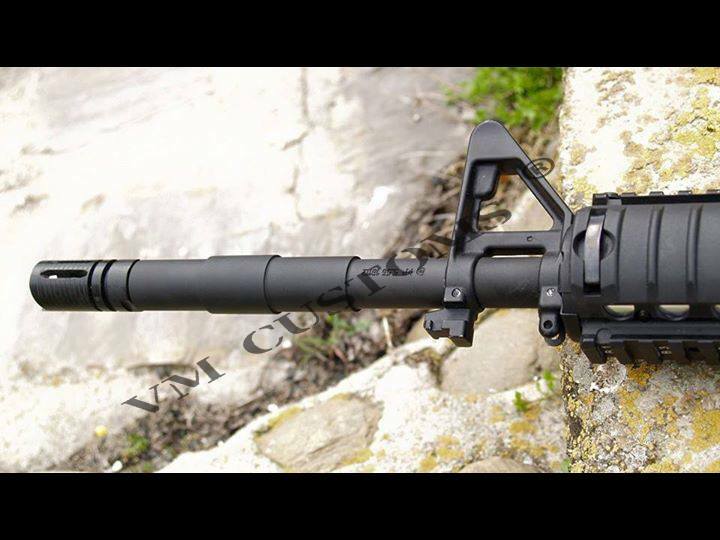 The wonder of buying this product is that simply removing the extension and adding a surefire muzzle get the CQB version and aesthetics of the canyon is fantastic but certainly markings are the final element of the Custom VM product against other competitors. As mentioned at the time, is the most coveted by every member of this weapon crazy’s fan because they do not anywhere … until now. Previously, you could buy in Dragon Airsoft. The problem is that I do not and get on eBay is a really difficult task, in addition to pay around 200 euros up. The only difference from a normal M4 are markings and that Diemaco model is designed for ambidextrous. We have seen all kinds of options to achieve the markings from krylon and laser engrave, simulate, paint, etc. VM Customs has chosen to do quality work. 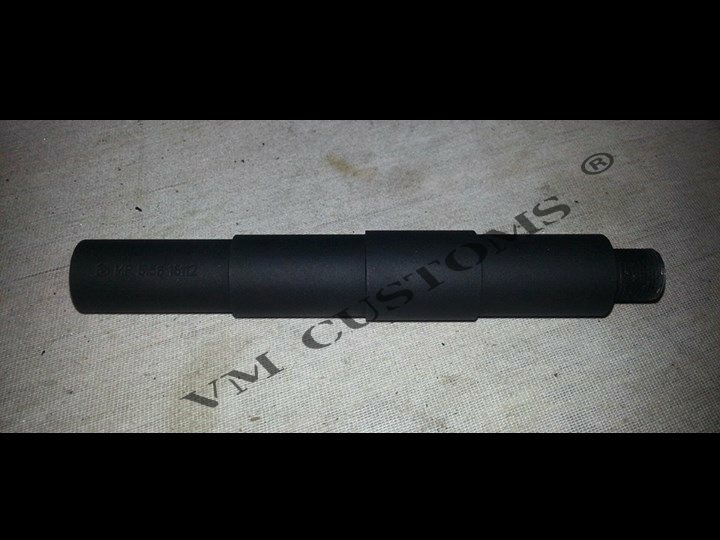 A body compatible metal marker M4, for now, is compatible for G&G, VFC, Dboys, Cybergun, Jing Gong, then VM Customs does its job and gives a perfect matte finish is acquired. Finally engraved markings are made following features original or we require. The name “L119A1”, caliber, serial number that includes the letters GB (in reference to Great Britain), NL (if we speak Dutch) SNS – NATO nomenclature – also optional, the letters “S “,” R “and auto selector, the small logo on the right side of the body, in short, a wonder for lovers of this weapon. We took some time researching products offered. worldwide to become a L119A1 and certainly this is the most unique item we’ve found. The advantage VM Custom from the rest is that their work is 100% customizable. Given the wide variety of labels of L119A1, depending on its year of construction, acquisition by COLT, armed forces to which they are addressed, etc, you can find the perfect solution for each request, in addition to finding a native product that does not exist outside our borders. We have already ordered a full game. You can visit VM Custom on the web www.vmcustoms.com or on his Facebook profile, where you will find all the information depending on the work to be performed. 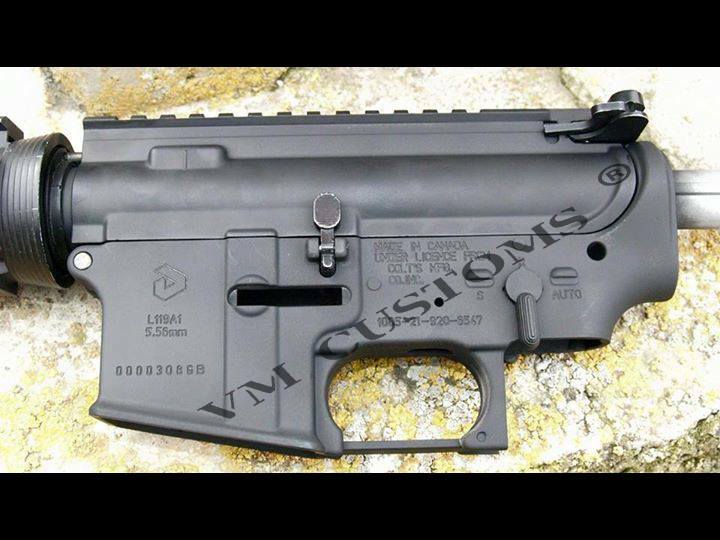 We have chosen a model prior to purchasing Diemaco by Colt markings and SNS. It will have news soon. 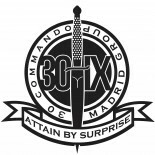 Esta entrada fue publicada el 19 abril, 2015 por 30 COMMANDO MADRID en Uncategorized.